Holts London first AW14 collection featuring Vivienne and Vicious cocktail rings in 18ct rose and yellow gold studded with spinels, green and blue diamonds with milky green moonstones as centrepieces. Popping with these Jennifer Loiselle fun cherry drop earrings (left) and taking my Jenny Sweetnam's silver Rose Thorn studs to the natural surroundings of Lake District. Goldsmiths Fair showcasing one of my favourites Shimmel and Madden's geometric Cuboid pendants (view my first blog post here). 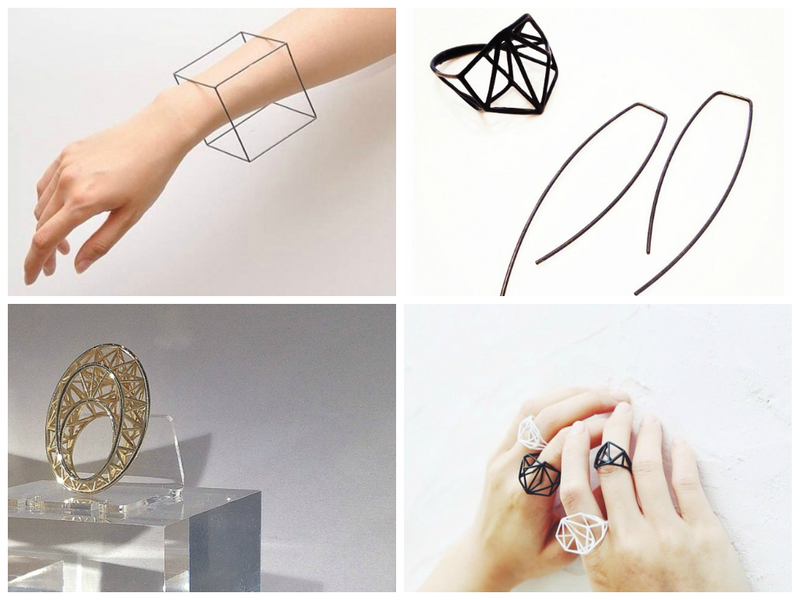 Hee Young Kim exploration of hidden spaces in these minuscule floor-plan inspired rings (top right and bottom left). Abigail Brown's stunning sweeping Folds neckpiece spotted on the designer herself. 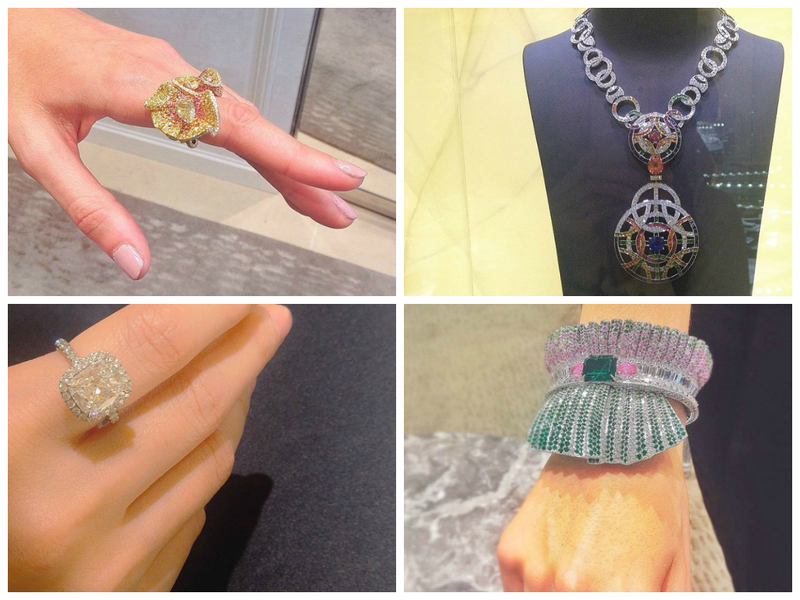 Visited Harrods Biennale Des Antiquaires viewing one of a kind jewellery collection featuring Archi Dior's jaw dropping diamond ring and bracelet (top left and bottom right) inspired by draped fabrics, ribbons and pleats. The art deco inspired Chanel neckpiece that left me speechless (top right) and separately, trying on Harry Winston cushion cut micropavé diamond ring (bottom left). 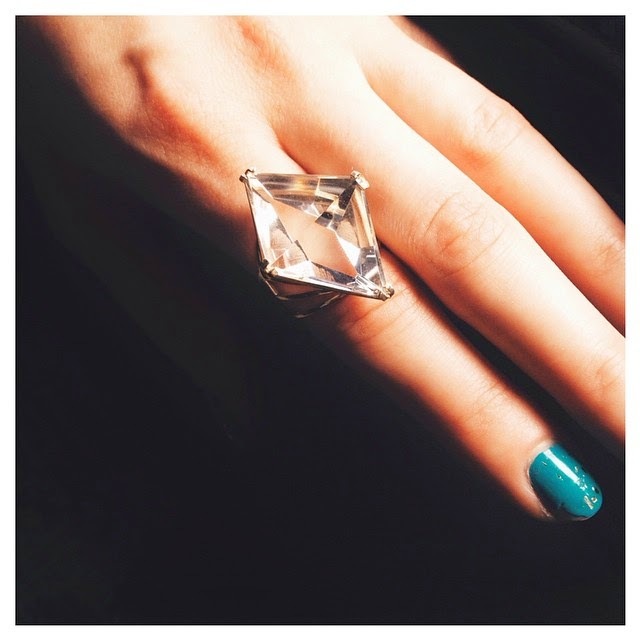 One off geometric clear quartz ring by Holts London from AW collection preview launch. Brilliant contemporary jewellery designer Gina Melosi's Broken//PROMISES pointer ring cast from a broken bottle fragment. Destructive yet wearable (top left). 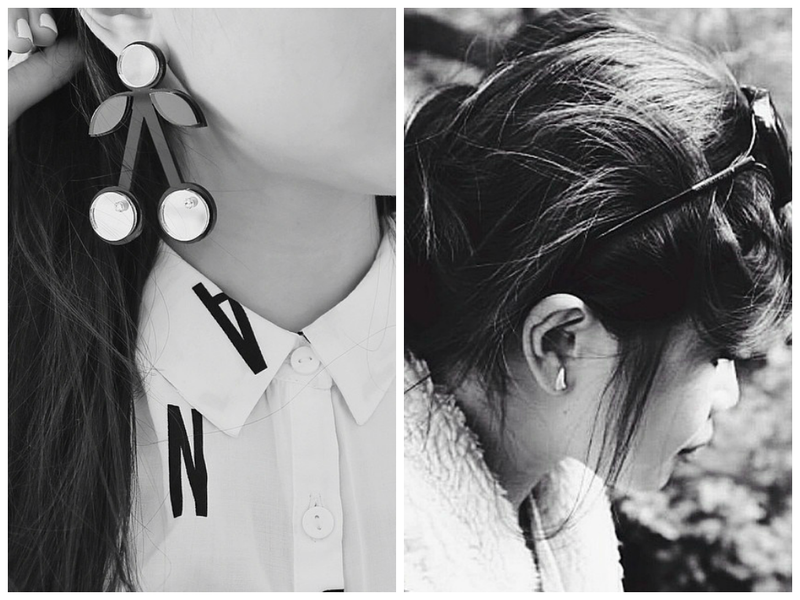 Rocking Bjorg's grey horsehair ear cuff at Shoreditch's contemporary jewellery Boutique Parla in Boxpark. 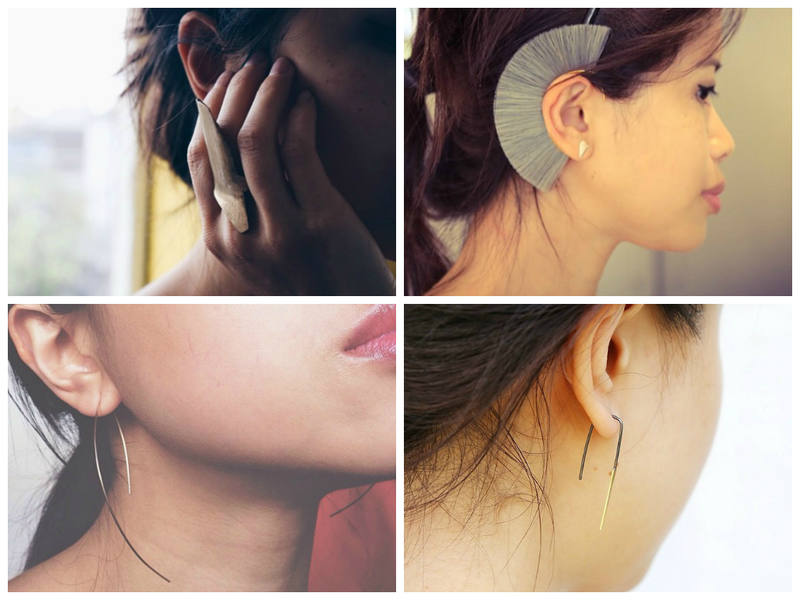 Wearing By Boe's minimalist wire arc earrings during an evening out (bottom left). 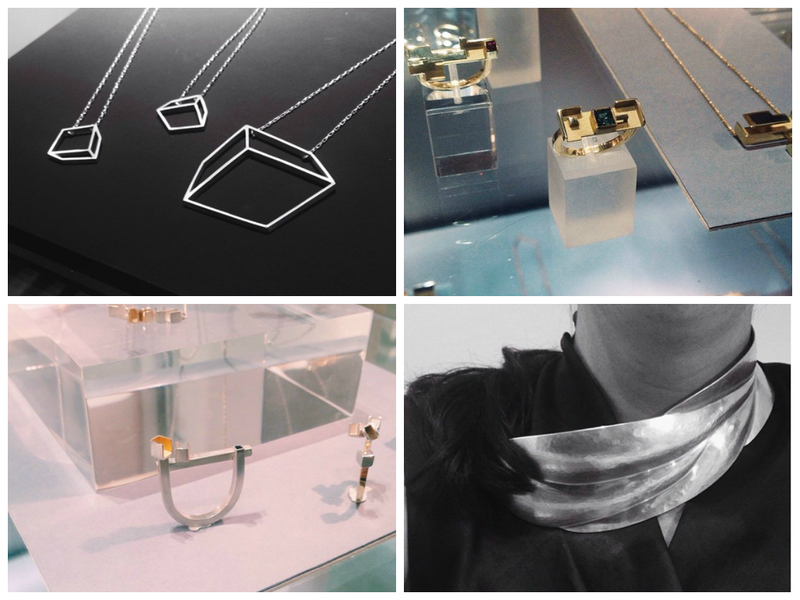 Ellie Air's angular drop earrings in oxidised silver and gold(bottom right). 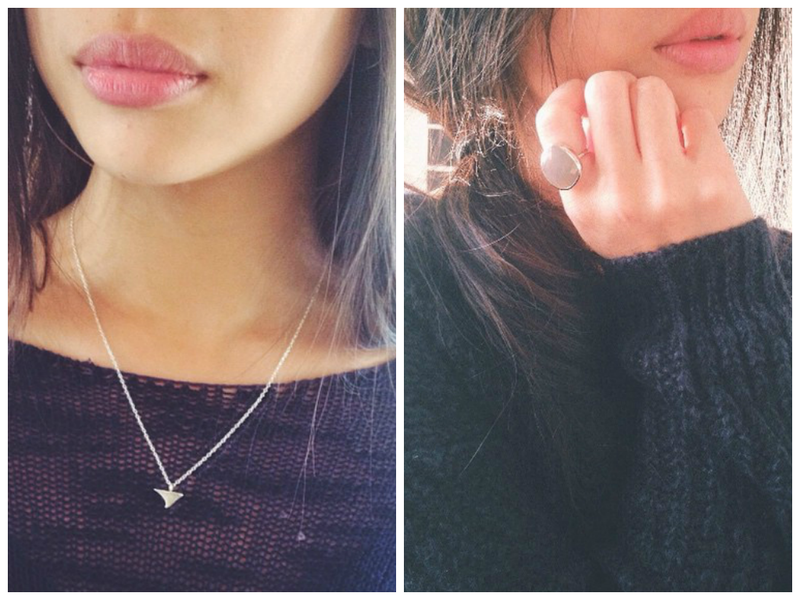 Jenny Sweetnam's dainty Rose Thorn necklace (top left). Matching my Monica Vinader labradorite ring with thick navy jumper (similar here) (right). 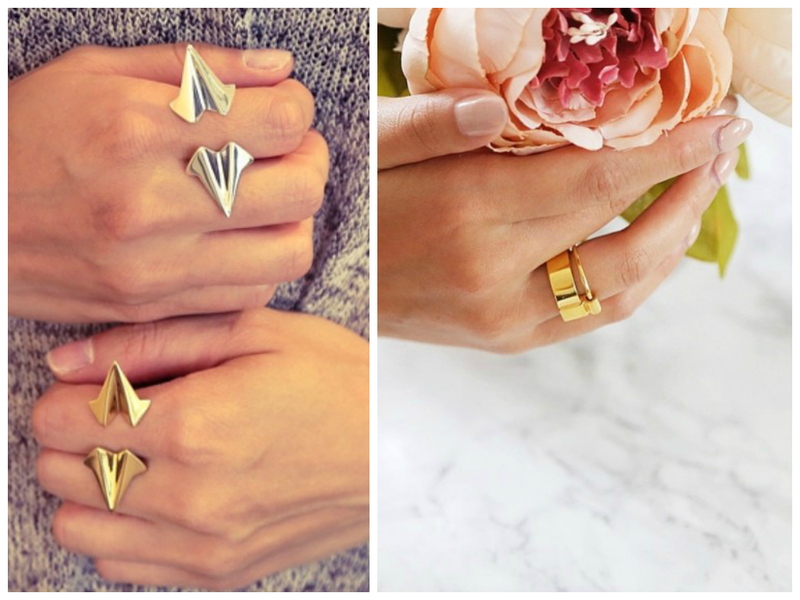 The stuff of my dreams...Mirta Jewelry for Marios minimalist black geometric bangle (top left). Purchased this oxidised wire earrings by GN Jewellery to go with my beloved Osnat Harnoy's geometric black ring (top right). Jennifer Saker's architectural 'Chipperfield' gold ring selected by Zaha Hadid as one of her favourite pieces at the Goldsmiths Fair. Conquer open rings by by Eaburns during a visit at Parla in Shoreditch (left). 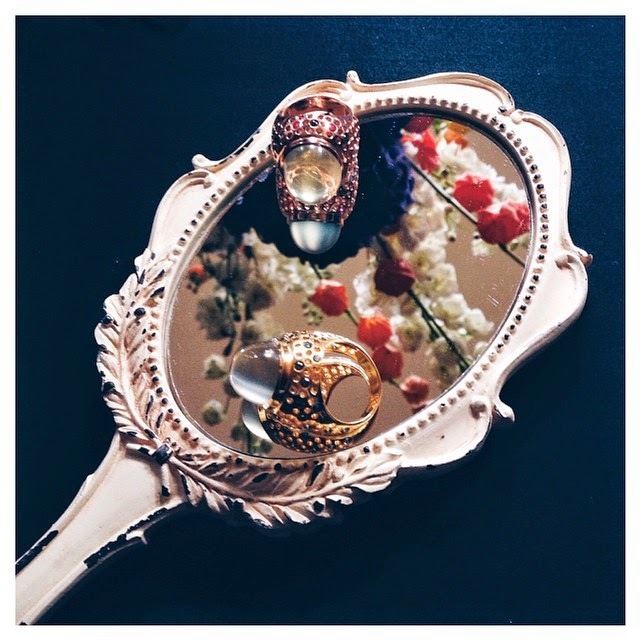 My favourite Icon ring by Ruifier (right). The stunning Kinetic Crux necklace by Ruifier (left). 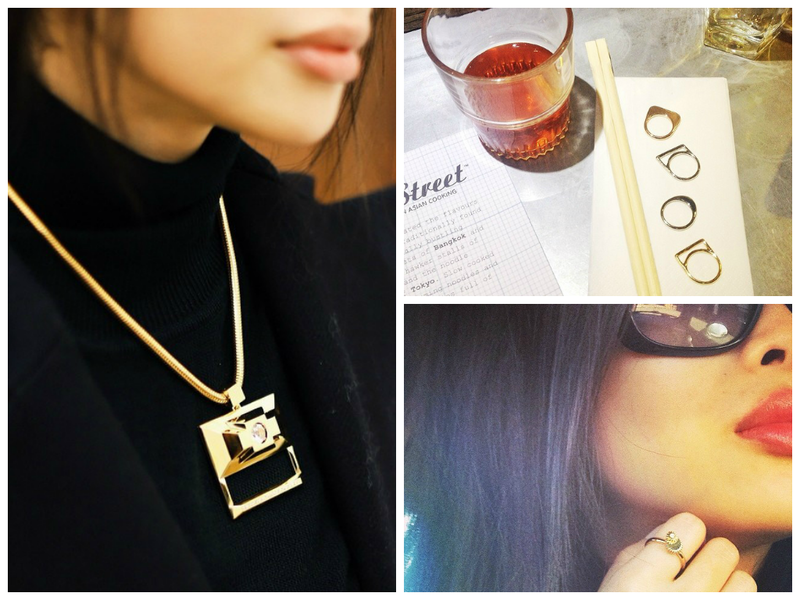 Played with geometric stacking rings at East Street eatery in Central London (top right). Timeless double winding wheel ring in gold and white sapphire from the Time collection by Cpt Jewellery(bottom right).